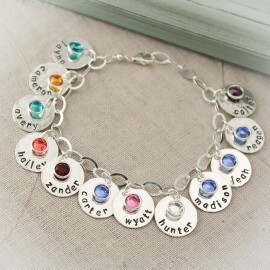 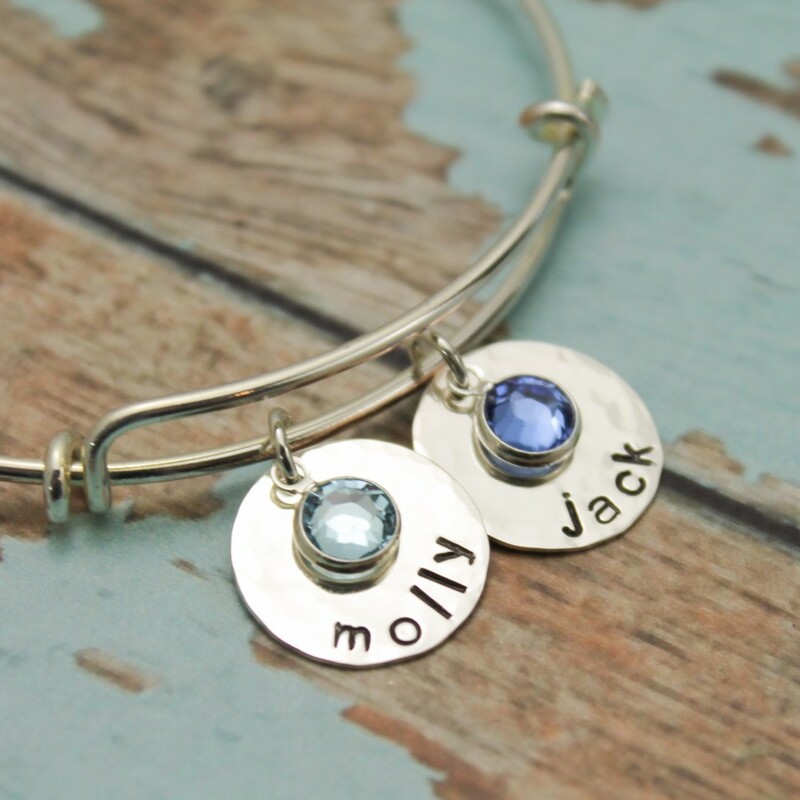 A sweet and simple bracelet to hold your loved ones close. 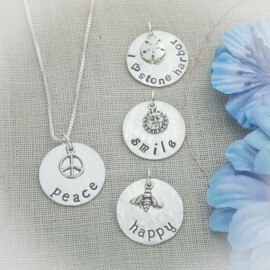 Each disc is a sterling silver hammered 5/8" disc. 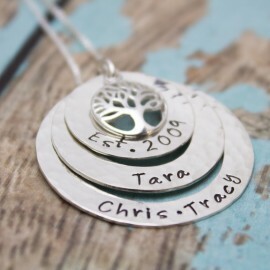 Order as many discs as you need hand stamped with the name or word of your choice. 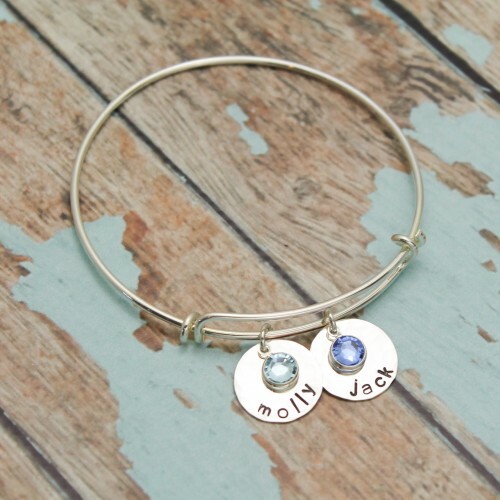 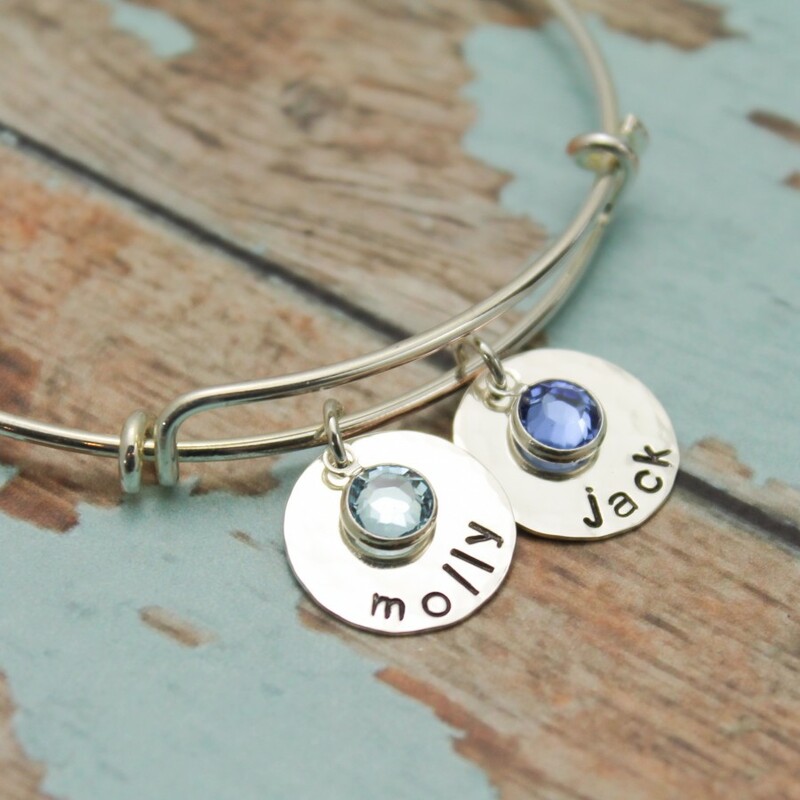 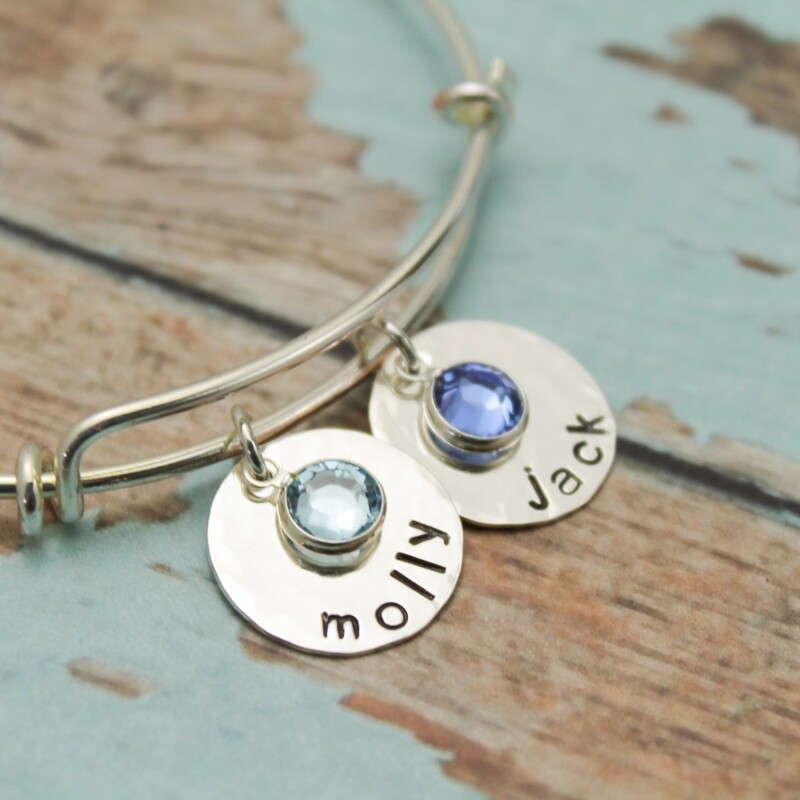 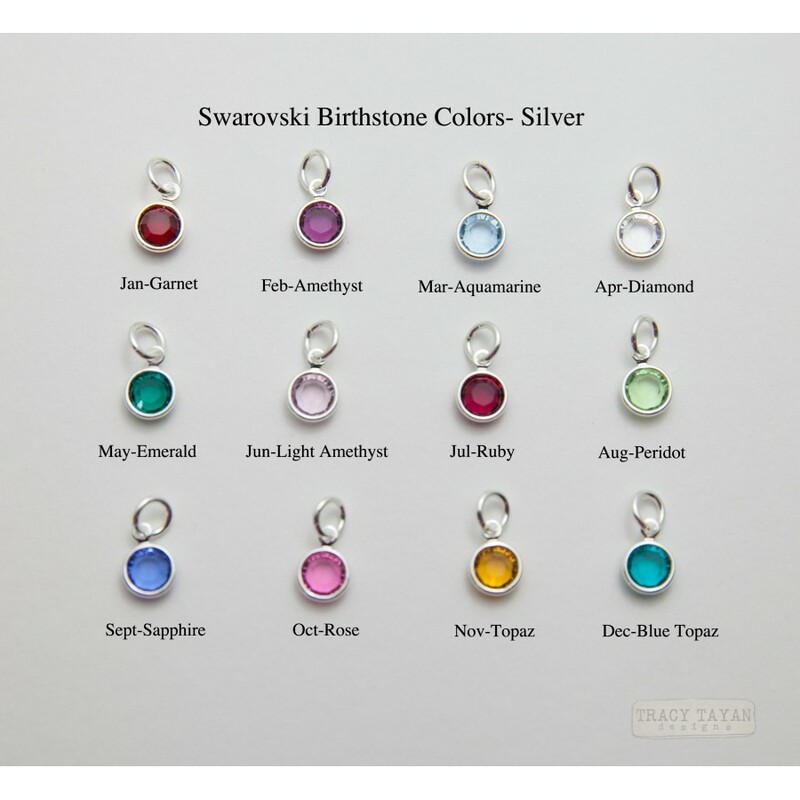 A Swarovski crystal birthstone month of your loved one adorns the top of the disc. 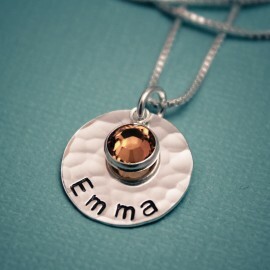 Made from silver plated or sterling silver.